This is a safari for those who not only have the time but the desire to explore some of the most well known and exciting locations in Southern Africa. 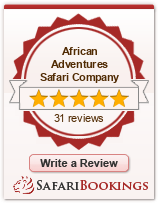 There are very few safaris that offer an adventure of this duration that is NOT IN AN OVERLAND TRUCK. 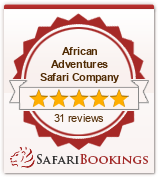 This is a fully guided, small group tour with NO pitching of tents and all accommodation is with en-suite. We will be staying in a mixture of safari lodges, guest houses and unique bed and breakfast locations all while experiencing the best Africa has to offer. You will fly into Johannesburg in South Africa where you will spend the night before leaving for Marakele National Park in the north west of the country. After a night at Tlopi Safari Camp and a search for wildlife we will proceed across the border to the wide open spaces of Botswana. Our major destination on this leg of our journey are the largest salt pans in the world The Makgadikgadi Pans. It is here that we will have the opportunity not only to explore this magical lunar landscape but to also have a unique visit to the wonderful meerkats. These fantastic creatures are almost impossible to find in the vastness of Africa unless you are accompanied by an experienced guide and our encounter is ensured as our guide actually lives with the meerkats in the wilderness. We will be able to walk with these whimsical creatures and watch them perform their daily tasks and if very lucky one may choose to use you as a lookout post by climbing onto your shoulder. From the arid vastness of the Makgadikgadi we travel north to the world’s only inland delta, The Okavango. This is a complete contrast to the rest of Botswana as the dry plains and desert sands give way to a maze of waterways, reeds and sub-tropical vegetation. We will have an ‘up close’ encounter with The Delta as we will be staying on a houseboat and from here we can explore the waterways and islands. We continue our water wilderness experience once we cross the border into Namibia and the famous Caprivi Strip where we will spend time at the beautiful Mazambala Lodge in the heart of the Kwando River wetlands. From Namibia we will cross back into Botswana and our next destination is the Chobe River and our first chance to try and find the ‘big cats’ of Africa. The Chobe has one of the highest concentrations of wildlife in Africa, at this time of year, all in a relatively small area and as a result the lion and leopard follow. Anything is possible in The Chobe area but of course we are dealing with wild animals so nothing is guaranteed. From wildlife we will swap to ‘wild times’ as we hit the adventure capital of Africa, Victoria Falls. After a visit to these magnificent World Heritage listed falls you will be able to spend your time doing as much or as little as you like. The town of Victoria Falls has a vast array of activities to participate in and these range from the world’s best white water rafting through to elephant back safaris and walking with lions. Add to this the best native crafts and curios to be found in Southern Africa and you will have trouble finding time to do everything. After our time in The Falls we will head south to one of the great national parks of Africa, Hwange. This vast park, the size of Belgium, is home to all the major species of animal to be found in Africa and the remoteness of our lodge adds to this wilderness experience. From Hwange we will travel to the World Heritage listed Matobo Hills outside of the ancient capital of the Matabele Tribe, Bulawayo. Here we will see unique landscapes and tribal cultural sites as well as experience a once in a lifetime opportunity to track wild rhino both by vehicle and on foot. After the excitement of The Matobos we will travel across Zimbabwe to the ruins of the largest stone structures to be found in Africa south of the great pyramids of Egypt. The lost city of Great Zimbabwe is a total surprise and a true African mystery as their origins are still to be fully established. This is also a World Heritage site and one that will provide more questions than answers. We will finally say goodbye to Zimbabwe as we cross the border into South Africa and the world famous Kruger National Park. We will now spend the next four days inside this wildlife marvel as we will not leave the park but spend our nights in National Parks bungalows inside Kruger and travel each day between camps, game viewing as we proceed. This is an experience that few encounter as most safari tours claim to visit Kruger but only stay on private reserves alongside this vast wilderness area. We will finally leave the wilds of Africa and head into the Northern Drakensburg Mountains where we will experience not only a change in climate and scenery but a whole new aspect to life in South Africa. Travelling via the spectacular Blyde River Canyon we will finally spend two nights in Dullstroom, one of the best kept secrets in Africa. This village of beautiful 19th Century style buildings has something for everyone and you will be able to find your final selections for presents and also a chance to experience some fantastic South African cuisine. Of course all good things must come to an end and we will finally arrive back in Johannesburg where we started one month prior and from here you will be able to fly home.